Looking to lease a car in the Louisville area? At Bachman Volkswagen, we’ve got the VW inventory and the financing offers to suit your needs. With interest rates at historic lows, trust you’ll receive a competitive price at Bachman Volkswagen. We aim to please with our affordable interest rates and lease deals. You could sign and be driving your new vehicle through the streets of Louisville in less than an hour! 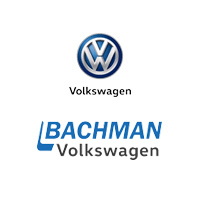 The next step in the process is to find a vehicle you like at Bachman Volkswagen! Check out some of our inventory via the links above. Basically, you lease a car instead of buy it. Lease deals are the fastest growing form of vehicle financing in Louisville! The low payments associated with leasing are what make them so attractive. You can expect to pay between 10 and 20% less with a lease deal payment from Bachman versus a loan payment. Lease deals are great for Louisville residents who don’t want to own a car forever, but would rather pick a new car every couple years. Lease deals are also desirable to Louisville customers who do not want to deal with car repair. Just like a rental home – your car is owned by the dealership and we are responsible for maintenance and repair. Additionally, any special details can be worked into the lease contract. Know how many miles you drive a month and plan the lease accordingly. Will the leased vehicle hold its value? What is your lease exit strategy? Lease another car? Will gap insurance be necessary? Can you afford to lease? Interest rates are based on credit. Apply For a Lease Now or contact us for more information at (866) 578-1101.